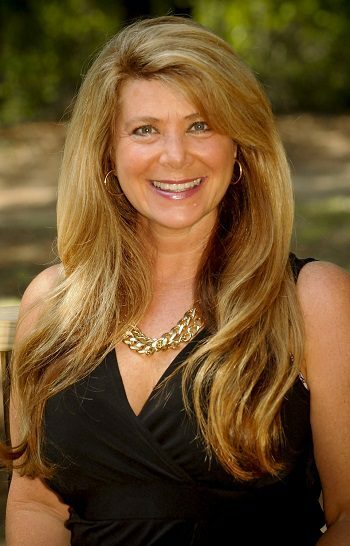 (SAVANNAH, GA) Liles George has joined Celia Dunn Sotheby’s International Realty as a Sales Associate. With in-depth knowledge of the area and expertise in financial and business analysis, she is committed to delivering high quality results with proven attention to detail. Liles provides integrity to her clients and supports their goals by employing a solid methodology and business practice. Prior to her real estate career, Liles provided Program Management and Economic Business Analysis for a Fortune 500 company. Previously, she also worked in the field of Change Management and Process Improvement for a cardiac telemetry healthcare start-up company. Additionally, Liles worked for Titan Corporation in jump-starting the newly created Office of Homeland Security division to aid anti-terrorist initiatives. Liles started her career on Capitol Hill with the United States House of Representatives, Washington, DC. A graduate of Tulane University in New Orleans, Liles attended Tulane’s School of Architecture. She has a keen architectural interest in buildings’ materials and methods of construction, structural and technological systems, site strategies, in addition to architectural history and preservation. she is a member of the Savannah Board of Realtors, Daughters of the American Revolution, Telfair Museum of Art, Telfair Academy Guild/Women in Business, St. John’s Episcopal Church, Downtown Neighborhood Association and the Historic Savannah Foundation. Her ancestors were French Huguenots and Salzburgers, who helped settle the Low Country of South Carolina and Georgia. (SAVANNAH,GA) Lori Watkins, a Certified Medical Assistant at Low Country Dermatology distributed goody bags to Camp Buddy campers Friday, July 18. Watkins distributed goody bags filled with sunscreen, lip balm, shampoo, conditioner, soap, hand sanitizer and candy. Low Country Dermatology donated sunscreen to protect Camp Buddy campers from both types of rays that damage their skin, UVA rays and UVB rays. Low Country Dermatology specializes in the treatment of adult and pediatric diseases of the skin, hair and nails. 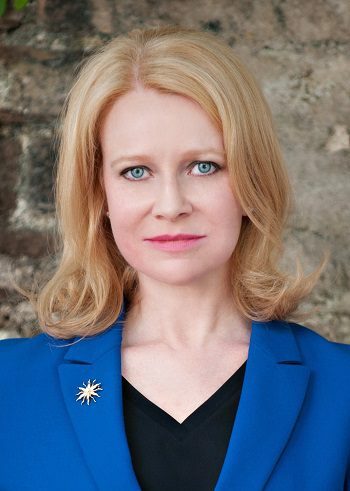 Dr. Corinne Howington is a board certified dermatologist, with expertise in medical, surgical and cosmetic dermatology. Low Country Dermatology is located at 310 Eisenhower Dr. Suite 12A Savannah, GA 31406. For more information, call (912) 354-1018 or visit www.lcderm.com. (SAVANNAH, GA) Do you collect art? On Friday, Aug 1, 2014, you can buy paintings created by CORNBREAD, a creative Corgi mix, using his tail as a paint brush. The event runs from 6pm to 9pm at the Canine Palance 2805 Bull St, Savannah, GA 31405. (BLUFFTON, S.C.) Elizabeth Sher joins the Bluffton office of Celia Dunn Sotheby’s International Realty as an associate broker. Elizabeth has worked in real estate in South Carolina and North Carolina for more than a decade and is also experienced in renovation design and home styling. Known for its tradition of integrity, Celia Dunn Sotheby’s International Realty specializes in residential properties in Savannah and the Low Country of Georgia and South Carolina. www.celiadunnsir.com. (ENCOURAGE HEALTH TIP) Coach Kerri Goodrich of Performance Initiatives says, "Strength training is crucial to weight control, because individuals who have more muscle mass have a higher metabolic rate. Muscle is active tissue that consumes calories while stored fat uses very little energy. Strength training can provide up to a 15% increase in metabolic rate, which is enormously helpful for weight loss and long-term weight control."http://pifitness.org/fundraisers/. (SAVANNAH, GA) On August 26, Kerri Goodrich will talk about "Five Ways Weight Lifting Helps Burn Body Fat" as the fourth of five lectures in the Enmark Encourage Health Educational Series 2014. Goodrich is the founder and Director of Performance Initiatives in Savannah, which is the selected charity for this Encourage Health Education lecture. Goodrich’s lecture will discuss how muscle mass helps burn body fat, the health benefits of strength training, how to boost your stamina, proper weight maintenance and glucose control. For more information, contact Kerri Goodrich at 912.507.7106, or visit http://pifitness.org/fundraisers/. (HOSPICE SAVANNAH) Choosing a Quality Hospice for you or your loved ones. (SAVANNAH YOGA) 8 Things To Remember When Everything Is Going Wrong. (SAVANNAH, GA) Angela Canfield, DDS of Premier Dental Designs in Rincon, and soon to open her second ​family dentist ​office in Sandfly, is donating custom-made maroon and white mouth guards to the Benedictine Military School football team. Custom-made Intact mouth guards provide stability to the players’ jaws and cushion blows that can cause severe dental injuries, like broken teeth, fractured jaws, gum lacerations and injuries to their lips or tongue by their teeth. “Damaging jaw and tooth impact can be caused by anything from direct contact to a misplaced step while running,” said Dr. Canfield. “I chose to donate the gear because research shows that wearing custom-fit mouth guards reduces the risk of severe injuries." Custom-fit mouth guards normally cost $85 a piece. Dr. Canfield is donating 110 custom-fit mouth guards to the Benedictine Military School football team free of charge. Dr. Canfield and four of her staff members are going to Benedictine’s football camp Saturday, Aug. 2 at 1:30 p.m. to take impressions of the football players’ teeth. The impressions will help Dr. Canfield and her staff align the mouth guards with the players’ Temporomandibular Joint (TMJ) to provide maximum impact protection. The American Dental Association (ADA) estimates that the use of mouth guards prevents approximately 200,000 injuries per year in high school and college football teams alone. Every year, Dr. Canfield will be selecting an impact sports team to donate mouth guards as part of The Canfield Mouth-Shield Program. Applications for the 2015 Canfield Mouth-Shield Team should be submitted to Dr. Canfield’s office. Applications must be submitted before June 1, 2015 to be considered by the advisory board. In September, Dr. Candfield is scheduled to open a second location in the Norwood Market located in Sandfly. For more information, visit http://www.sandflyfamilydental.com/ . (SAVANNAH, GA) Carriage Trade PR, Inc. announces Cynthia Wright has joined the company as a Public Relations Coordinator. Wright’s responsibilities include media and client relations, writing press releases, researching awards, photography, videography, search engine optimization, researching keywords, social media management, reputation management and community relations. This May, Wright graduated from Georgia Southern University with a Bachelors in Communications focusing on Public Relations. She has recently been honored with LEAP Certification from GSU, standing for Leadership, Experience, Academics and Professionalism. Wright was one of six students at GSU to be accredited with LEAP Certification. She also graduated from the 2014 Savannah Speechcraft for Professional Women class. The 4-session course was developed by Toastmasters International to boost professional women’s communication skills. While working on her undergraduate degree, Wright was a member of Kappa Kappa Gamma and a writer for the PRSSA newsletter team. She was the recipient of the HOPE scholarship for four years, and ranked on the Dean’s list. In high school, Wright majored in Communications at Savannah Arts Academy, and was a member of FBLA. Wright also was a member of the Savannah Christian Web Tech Team, and earned national recognition at the International Student Media Festival in 2004 for “Escape from Vietnam”, a website created by Wright and three of her peers. Wright is a native Savannah resident and currently lives at Isle of Hope with her family. In her time off, she enjoys boating, fishing, hiking, kayaking and various other outdoor activities with her black lab, Charlie. 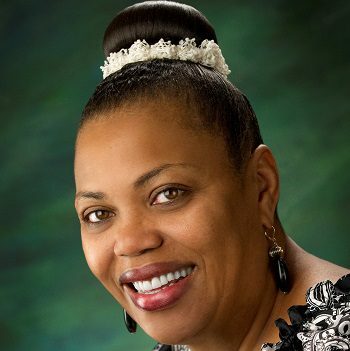 CEO and President of Carriage Trade PR, Inc.
(SAVANNAH, GA) Goodwill of the Coastal Empire is pleased to announce that Brenda B. Pollen a Savannah native, has been appointed the new Vice President of Mission Services. In her new role, Pollen will be responsible for overseeing the Mission related activities of Goodwill of the Coastal Empire including: Vocational Evaluation and Assessments, Work Adjustment /Skills Training, Job Placement, and collaboration with community partners to identify strategies to address personal, social and economic needs of individuals with barriers to economic independence. Pollen has dedicated over twenty-eight years to serving people with disabilities and other barriers to employment. In addition to completing a BA and MBA at the Strayer University Washington, DC. she is also a 2011 graduate of the Senior Leadership Program sponsored by Goodwill Industries International and a Certified Career Facilitator. Pollen and her staff work directly with the community and available resources to match jobs to job seekers. Goodwill career centers provide job readiness classes and job search assistance. In addition, the public can access workshops in financial literacy, health and wellness, take ESL and GED classes. During tax season, we offer income taxes prepared through the Volunteer Income Tax Assistance Program. Goodwill of the Coastal Empire, Inc. is a 501c3 not-for-profit organization with over 850 employees. In 2013, Goodwill provided services to 19,518 people and placed 1,672 into employment. Goodwill serves 33 counties in Georgia and South Carolina, operating 19 retail locations, and ten Job Connection Centers. Goodwill accepts tax deductible donations of clothing, household items, computers, and car donations, as well as operates an online store at www.shopgoodwill.com . For more information on Goodwill of the Coastal Empire, please visit www.goodwillsavannah.org . Find us on Facebook: Savannah Goodwill or follow us on Twitter: @SavGoodwill. (BLUFFTON, S.C.) Elizabeth Sher joins the Bluffton office of Celia Dunn Sotheby’s International Realty as an associate broker. Elizabeth has worked in real estate in South Carolina and North Carolina for more than a decade and is also experienced in renovation design and home styling. Any listing Elizabeth takes on behalf of a seller includes her staging and renovation/repair advice if necessary. “Once you take the proper steps to prepare the house, have it in good condition and it is priced correctly, it will sell quickly,” explained Elizabeth, who has renovated more than 15 homes for herself and clients. Many of her listings and renovations have been unique properties, including farms, equestrian properties and historic cabins. Along with her home styling work, she also worked as a photo stylist and set designer for catalogs and commercial clients. In addition to real estate, she has worked extensively in photography and design as well as event planning for a high-end Charleston gallery and photography center in Santa Fe. She has also arranged and led international shooting and equestrian group tours in Europe. Elizabeth received her BFA from Savannah College of Art and Design, where she studied abroad in Italy and France and graduated with high honors. She also attended Sweet Briar College and the University of Alabama, where she received the outstanding art student award. Although raised in Spartanburg, Elizabeth’s family always retained a second home on the South Carolina coast where she spent every summer. Presently, she loves living in the Low Country full-time. Her hobbies include renovating Airstreams, boating, fishing, throwing a cast net or anything on the water, horseback riding, hunting, and sporting travel. For more information, call Celia Dunn Sotheby’s International Realty at (912) 234-3323 or visit http://www.celiadunnsir.com . To contact the Bluffton office, call (843) 836-3900. (SAVANNAH, GA) The Bowen Law Group is pleased to announce that Ashley P. Daniele, ACP, MPS, has joined the company as a certified paralegal. In her new role, Daniele will be handling client relations, legal research and comprehensive litigation support. Originally from the Eastern Shore of Virginia, Daniele comes to The Bowen Law Group from Kemp Smith, LLP in El Paso, Texas where she served as a Litigation Paralegal. She previously served as a paralegal at The Kennedy Law Firm, PLLC, in Clarksville, Tennessee and Hopson & Parris, P.C. in Cadiz, Kentucky. Daniele received a Master of Professional Studies in Paralegal Studies at George Washington University and Bachelor of Science in Paralegal Studies and Law Office Management at Kaplan University. She is currently a volunteer for Family Readiness Group in the U.S. Army, HAAF, FRG and is an active member of the National Association of Legal Assistants, Inc. In 2010, she served as a legal administrative volunteer for the American Cancer Society and from 2011 to 2012 she served as the Vice President of the El Paso Paralegal Association. “It is exciting to be a part of a dynamic, growing practice that is on the cutting edge of the legal profession. Every member of the firm has a shared passion for justice and for zealously pursuing and protecting the best interests of the firm’s clients,” said Daniele. The Bowen Law Group handles a wide variety of legal matters with a primary focus on business, banking and manufacturing law. The firm also offers mediation services as a faster and more cost-effective alternative to litigation. In her time off, Daniele enjoys exercising, traveling, reading, and water sports. The Bowen Law Group was founded in 2012 by Savannah business attorney Charles Bowen. Bowen received his law degree from Georgetown University Law Center and is a member of the Georgia Bar. Bowen opened The Bowen Law Group after running the Savannah branches of two large Atlanta law firms for eight years and previously serving for ten years as a partner in a respected Savannah litigation firm. The Bowen Law Group focuses on commercial, banking and manufacturing law and also offers comprehensive mediation services. Corporate law has deep ties to the Bowen family. Bowen’s great-grandfather (whose desk and other heirlooms are on display in the office) was an esteemed business attorney in New Orleans, a legacy that Bowen hopes to continue in Savannah. With panoramic views of the city and the Savannah River, The Bowen Law Group is located on the top floor of the Manger Building at 7 East Congress Street. For more information, call 912.544.2050 or visit thebowenlawgroup.com . 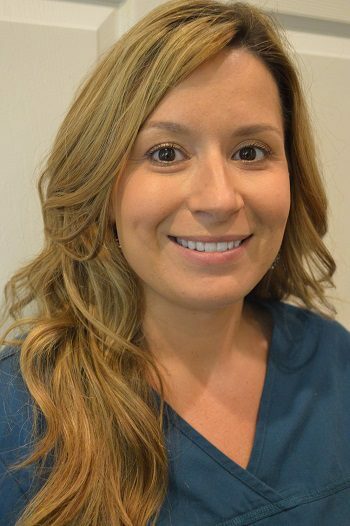 (RINCON, GA) Premier Dental Designs is pleased to announce that Kim Jackson has joined the clinic as a dental assistant. 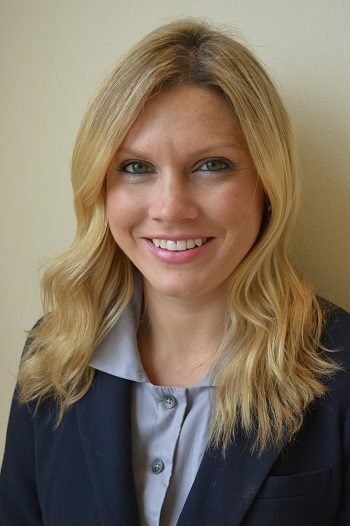 In her new role, Jackson will be providing patient care, taking impressions and radiographs, and providing assistance to Dr. Canfield during procedures. Jackson received a Dental Assisting diploma from Savannah Technical College in 2014. She received an Associate of Arts Degree from Armstrong in 2012. Jackson was an honor graduate, a national technical honor society member and a nominee for GOAL (Georgia Occupants Award of Leadership) for dental assistance. Premier Dental Designs offers their services for every member of the family, including young children. Dr. Canfield and her dental team are trained to provide dental surgery, dental implants, invisalign, one-day crowns, bridges, porcelain veneers, cosmetic bonding and teeth whitening. They integrate the latest dental technology, including E4D technology, low-radiation digital x-rays, intra-oral cameras, and high powered telescopic loupes, with a friendly and personal approach. Premier Dental Designs endeavors to help patients maintain excellent oral health for a lifetime. In her spare time, Jackson enjoys going to beach, swimming, riding my bike, and spending time with her family in Pembroke, Ga.
Premier Dental Designs office is located in Rincon, Georgia at 5871 HWY 21 South. Dr. Canfield is licensed by the Georgia Board of Dentistry and the National Board of Dentist. Premier Dental Designs offers Family/Preventative Dentistry, Cosmetic Dentistry, Restorative Dentistry, Orthodontic Dentistry, Digital X-Rays, E4D One Day Crowns, Electronic Claims, Intra Oral Camera and Paperless Charting. The office is open Monday through Thursday and evening appointments. Scheduled to open in September is her second dental office in Sandfly, Georgia. For more information, call 912.826.4037 or visit http://www.premierdentaldesigns.com/ . For more information about the Sandfly location, visit http://www.sandflyfamilydental.com/ . (ATLANTA, GA) GoWP is a newly launched WordPress support service of Southpoint Media, Inc., a leading regional web services firm. GoWP provides full support for WordPress websites by offering automated software updates, regular onsite and offsite backups, security monitoring and help from WordPress experts. The new service allows organizations with WordPress websites to focus on their content instead of worrying about technical infrastructure and security. Brad Morrison has served as the CEO of Southpoint Media for 10 years and will oversee the new service. He has 20 years of web design experience, having served in various technical roles for both private and non-profit organizations. Lucas Karpiuk will serve as the Technical Lead and Elizabeth Schorr will coordinate the marketing efforts. Monthly support plans include automated WordPress core and plugin updates, regular backups, security monitoring, malware removal and help from WordPress experts. GoWP can be used with third-party hosting providers but also offers fast, scalable web hosting as an add-on. Southpoint Media has served clients for over a decade from locations in Atlanta, Augusta and Savannah. Based in Atlanta, GoWP represents the next stage of growth for the company, by offering subscription-based WordPress support for the global market.